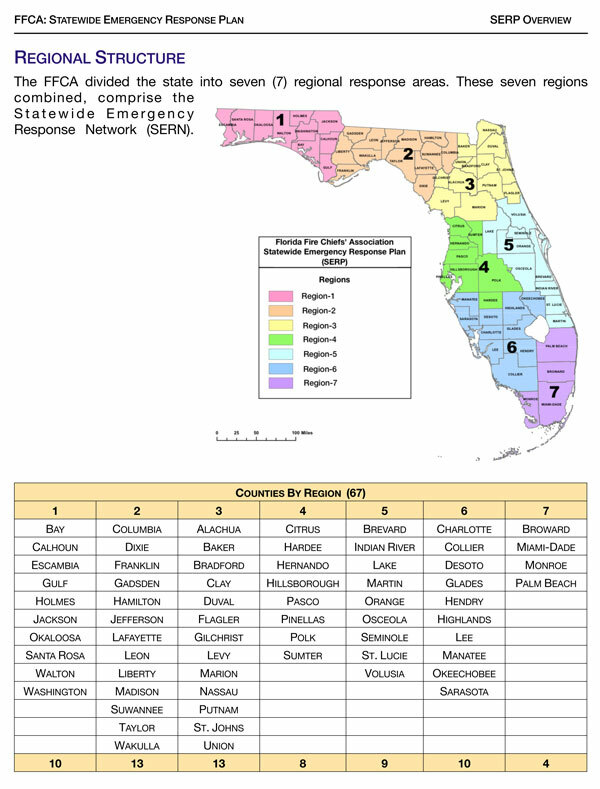 The Florida Fire Chiefs' Association is the support agency for the state emergency support functions (ESF) 4 (Fire) 9 Search and Rescue and coordinates resources for ESF 8 (EMS), and EFS 10 (Hazardous Materials). The Emergency Response Plan is endorsed by the Florida Division of Emergency Management and referenced in the State of Florida Comprehensive Emergency Mangement Plan (CEMP). Welcome to the Florida Fire Chiefs' Association’s (FFCA) Fire & EMS Resource Catalog & Deployment Program, FL -MUTUALAIDNET. 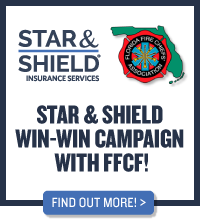 This program is being provided through a memo of understanding between the Florida Fire Chiefs' and the International Association of Fire Chiefs. The FFCA-SERP Emergency Response Committee manages FL-MUTUALAIDNET, and uses the program as the primary means of capturing and managing information related to resources available for response within the scope of the SERP. Access to FL-MUTUALAIDNET is provided for all ERC members and authorized points of contact for each fire department and agency maintained in the program. Additional details regarding the use of FL-MUTUALAIDNET can be found within the current SERP document. If you have any questions about this program, please contact your SERP coordinator, or mail TJ Lyon at [email protected].